Thoreau’s Style of Keeping a Nature Journal is a guide for nature journal keepers. Essential to his nature study, they contain the best of his writing.Henry David Thoreau’s method of keeping a nature journal evolved over many years. His journal was started on October 22, 1837, just a few days after his graduation from Harvard. He wrote in it nearly everyday until November 3, 1861, seven months before his death on May 6, 1862. 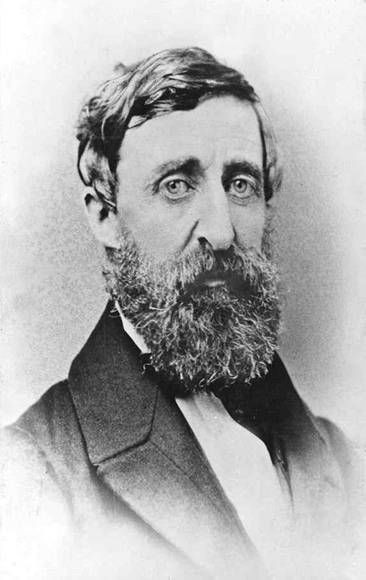 Henry David Thoreau stopped writing specifically for publication around 1852, and focused on creating his journal which grew to 14 volumes. His essays such as “Walking”, “Autumnal Tints” and “Wild Apples”, were drawn from these journals. These essays were published in the book Excursions. Reading his journals provide inspiration for our own nature journal writing. Free ebooks of some of Thoreau’s are available on Project Gutenberg. After 1850, going on long nature walks and recording his observations became the central task of his life. He grew into an expert naturalist and his life was filled with learning and living well in the land where he lived. He took walks in the afternoon and wrote notes in a field notebook. Each morning or at the end of several days he would enter his entries into his journal. Some entries he would rewrite or polish into essays or lectures. He recorded as he said, everyday phenomena so people could see how wonderful their world was. He used his journal to record his observations of the life cycle of plants, the sequence of plant blooming (phenology), animal behavior, the weather and other happenings. He made very simple sketches and maps to illustrate an observation or an event. Henry David Thoreau’s journal is filled with simple nature essays, character sketches, news events, stories, quotations and snatches of conversations along with his social commentary on human society. He used all this raw information to write essays and lectures. He had learned from experience that lacking good detailed notes made recalling information and writing an essay later, a headache. First hand experience is crucial to living responsibly with the land. Develop a routine or schedule for recording observations. Always have a pocket-sized notebook with you to record and sketch your observations. Make very simple sketches, maps and diagrams to enhance your learning and jog your memory. Use your observations to write finished essays or create finished drawings or other creative work. – this is the abridged version I recommend and own.